“Pure, soothing, and powerful” is our motto. We’ve been using quality, organic ingredients as much as possible. However, our product labels didn’t have USDA Organic Seal on them because our facility was not certified. “Pure, soothing, and powerful” is our motto. We’ve been using quality, organic ingredients as much as possible. However, our product labels didn’t have USDA Organic Seal on them because our facility was not certified. Now, both of our warehouse and food processing facility are officially USDA certified organic. 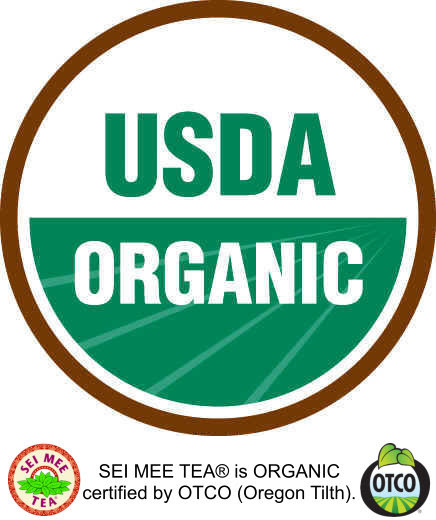 Most of our products now carry the USDA Organic Seal! When we started our business, few people knew about green tea powder. Blessed with wonderful customers like you, we were able to explain we use organic ingredients (as stated in the product back labels) even though the front product label didn’t have the organic seal. Most of our customers were introduced to our products by word of mouth, or their doctors’ recommendation. Why did we decide to invest our time, money, and energy to go through the process of certification now? I read the following report in one of my industry magazines and I felt it was high time to differentiate the look of our products from conventional teas, which are often contaminated with pesticides beyond imagination. You would think The Association’s effort would be “to reduce or eliminate the pesticide residues on tea.” To our surprise, the effort is rather sorting “good” pesticides from harmful ones and legalizing more pesticides. According to him, there was no regulation on pesticide residues on conventional tea until 2008. (Conventional tea means ‘non-organic’ tea.) That year, three different pesticides were found in conventional tea shipments at entry and thirty containers of that tea were quarantined at the port. The Tea Association put together guidelines to prove the pesticides were not problematic and now these pesticides are legally permitted. Nineteen more pesticides have been legalized since then and Mr. Goggi emphasized the association’s success is remarkable as no other agricultural products have been permitted to use that many pesticides during such a short time. Furthermore, twelve additional different pesticides are currently being considered to be added to the list. Although Mr. Goggi mentioned there is a list of pesticides that are strictly prohibited to bring into the U.S. market, there are some disturbing reports. 60% of the Indian tea samples contained at least one pesticide above the safety limits set by the European Union. Generally speaking, their regulation is stricter than the U.S. standard–but it doesn’t matter because the contamination level was outrageous–more than half of those troublesome samples exceeded the maximum level by 50%. And, 68% of the samples even contained DDT. 67% of the Chinese samples were found to have the pesticides that have been banned under the Stockholm Convention, and about half of the samples from China contained pesticides that are known to harm unborn children or cause genetic damage! Do not look further for your green tea–SEI MEE TEA offers the very best green tea in the industry and it is pesticide free. Please be reassured our products are pure, soothing, and powerful! It’s summer! All sorts of fun things are happening!! And you still have regular chores and obligations to do. But don’t get stressed out–Drink your Green Tea! Here’s the short list of Green Tea benefits you will enjoy particularly in summer time! 1. Neutralize free radicals with Green Tea–Free radicals are by-products which your body keeps creating as long as you are alive. Free radicals damage healthy cells and that destructive process can cause aging and diseases. 2. Boost your immune system with Green Tea–When you are stressed out, your immune system is suppressed. Support your immune system with SEI MEE Green Tea when you feel stress. 3. Prevent skin cancer from UV light exposure with Green Tea–it’s important to protect your skin with sunscreen to reduce risk of skin cancer. Try mixing green tea powder with aloe gel to apply over tanned skin since Green Tea antioxidants are also beneficial used topically. 4. Quench thirst and hydrate your body with Green Tea–Add green tea powder to chilled water bottle and shake it up! (1/4 tsp. to 1 tsp. per 8 oz to your taste) Green tea helps you to gulp down 64 ounces a day, the recommended water daily intake amount. Remember to drink more when you sweat a lot! Add lemon for flavor and enhanced antioxidant activity. 5. Enhance memory and focus with Green Tea–Heat stress can lead to memory loss. Hydrating your body helps and also green tea antioxidants help your mind stay focused. 6. Enhance your mood with Green Tea–Heat may prevent you from doing things. Doing nothing is not really relaxing. Green tea antioxidants help lift your spirits. 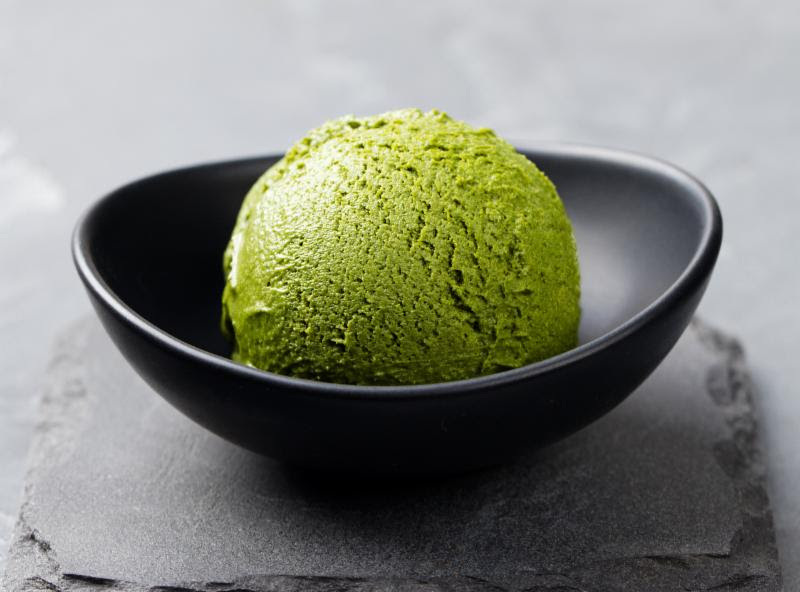 Click the image to watch video how to make delicious green tea ice cream. 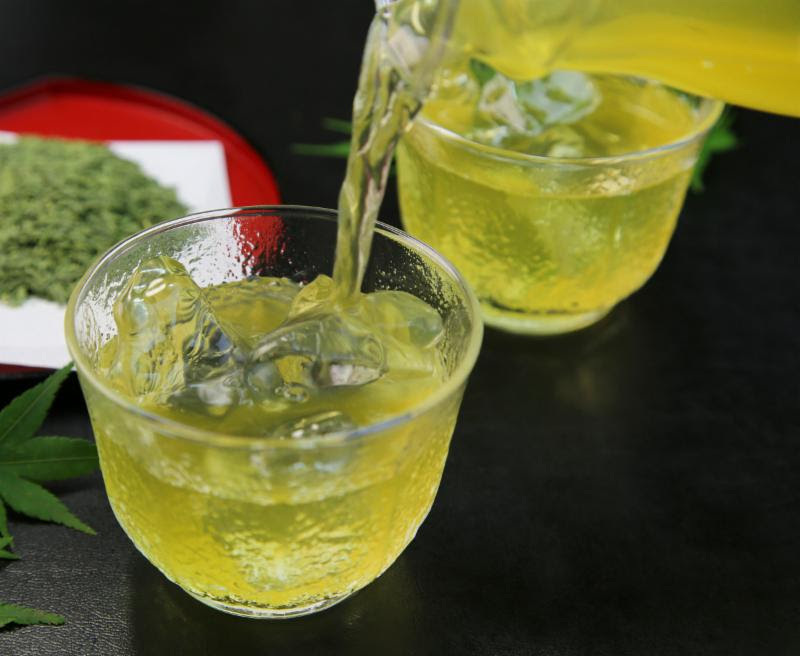 Click the image to watch video how to make cold brewed green tea (if it doesn’t jump to the video, please scroll up or down to see it). 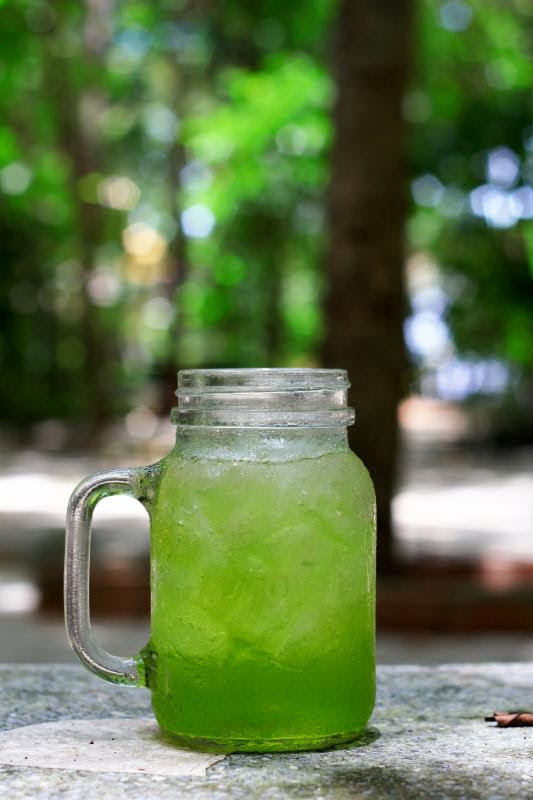 Celebrate Summer with pure, iced green tea! Get 10% off when you purchase $69 or more. Get 20% off when you purchase $129 or more. Free Shipping when your after-discount total is over $120! Sale ends on July 28, 2017.